Various types of user interface (UI) kits are available in the market for use. 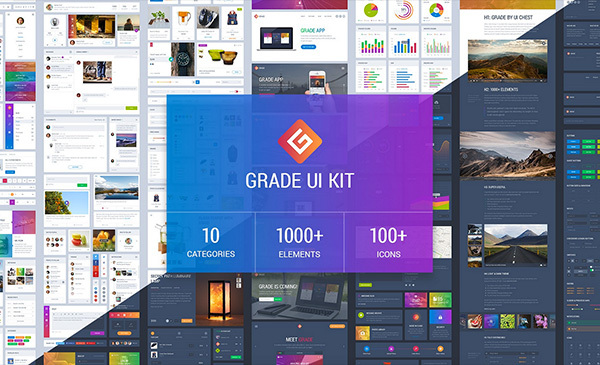 These kits are specially designed for the convenience of website designers and developers, who have less or no time to build all UI elements on their own. If you want to use a free version, check out Elements UI add-on. If you are also one of them, try these kits. These kits are reliable and usually, contain a vast variety of elements that are used quite frequently in website designs. Some kits can be availed for free and some are obtainable at certain cost. You can go with any of these options based on your needs. Both the free and premium versions are great. The only difference is that some premium versions include large varieties compared to the free ones. The pack consists of menus, tags, lists, image sliders, calendar, social network elements, paginators, dropdown search, breadcrumbs, timeline, checkout process, players, notification windows and many others. These components are saved in folders and layers. These are styled in Helvetica Rounded and Proxima Nova fonts. 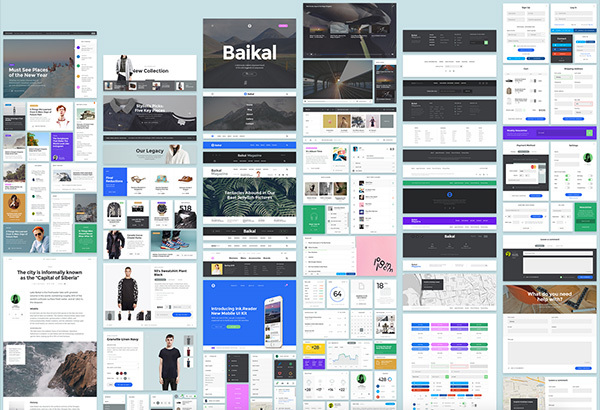 In this single pack, you will find a vast variety of UI components that are used every day to create a unique web design. 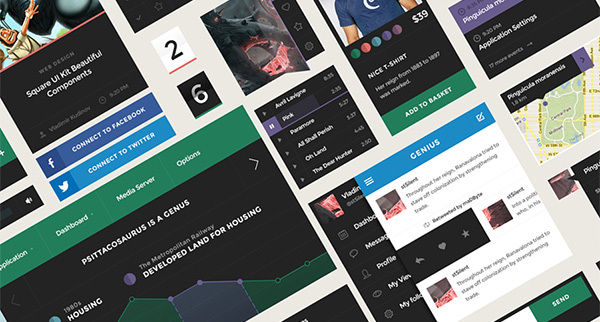 The pack features a 12-modular grid system. The shapes are vectorized and created in PSD format.